You can create a FTP account for each of your websites with a few simple steps. 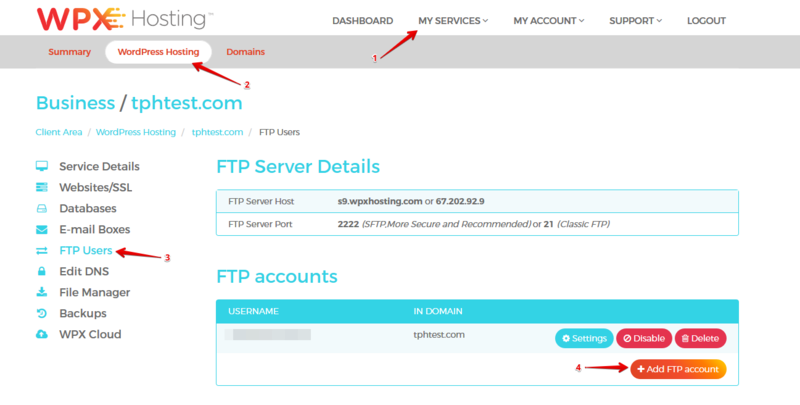 You can create FTP accounts via your hosting panel. In order to go there, go to our website -> My Services -> WordPress Hosting -> Manage all sites in this account -> FTP Users. Once you are there, all you have to choose is the option "+ Add FTP account" and fill in the details. The password for that account will automatically be generated and sent to your email address. Also, the FTP user that you created just now can be used both in FTP and SFTP! Keep in mind that each FTP user only has access to the website for which it was created. It does not have access to the files of other websites in your account. Our blog can help you in building incredibly fast website. Looking for the most loading speed friendly hosting? Discover more here. Did you visit our promo page?